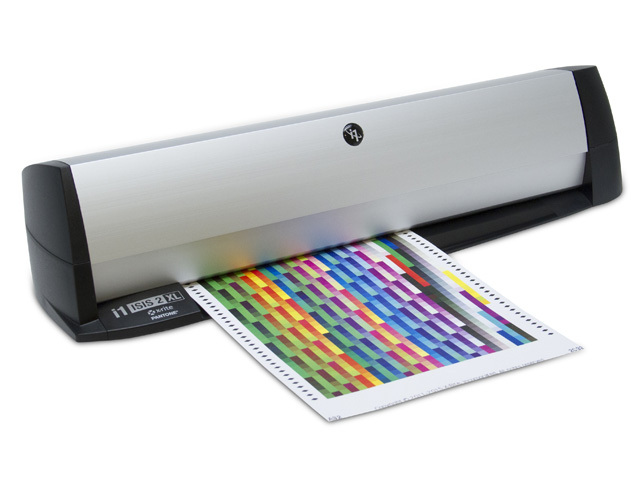 Use with i1Profiler (sold separately) to accommodate a variety of inks and substrates in any viewing condition using Optical Brightening Compensation (OBC). The i1iSis 2 automated chart reader is compliant with the latest standards. M1 is now the specified measurement condition for GRAcoL 2013, SWOP 2013, and ISO 12647-2. M1 measurement conditions are required to achieve accurate proof-to-press-sheet matches in newer M1-compliant lighting booths.